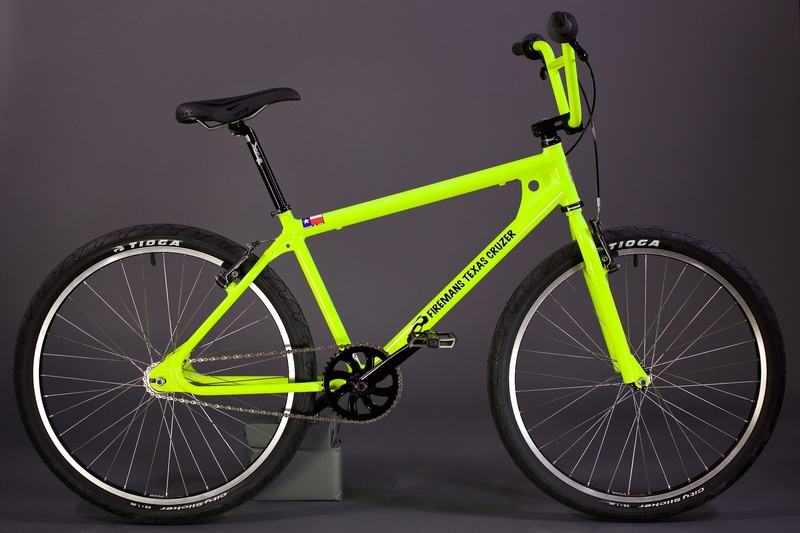 The Firemans BIG AL Texas Cruzer is available as a frameset or complete. 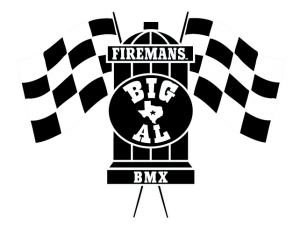 Firemans Big Al completes are available for $1570.44+tax or shipping=$1700. 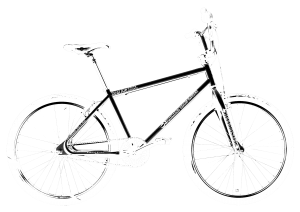 See framesets for available colors. Contact us to place an order. 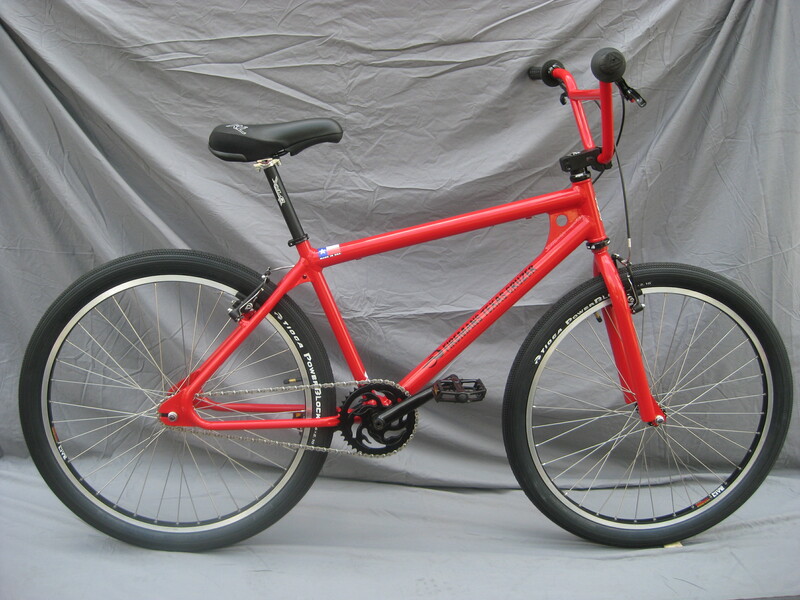 This is like our classic Firemans Texas Cruzer chromoly 26″, but made in aluminum. Nice and light, with the same great feel – a little stiffer because of the aluminum. All are made and powdercoated in batches. We have a very solid standard parts package which is listed below. 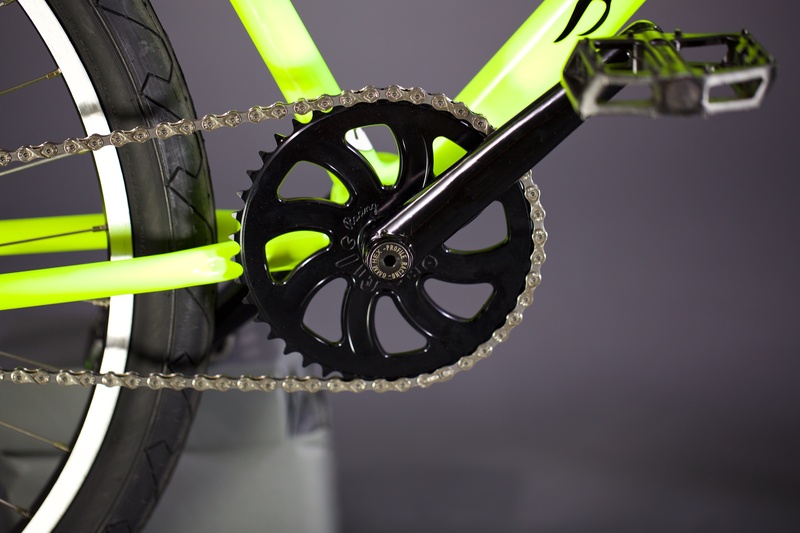 We have been evolving this kit for years, and it is a perfect match for the bike. 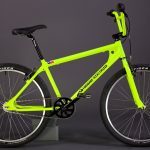 FSA ‘The Pig’ headset, Redline BMX stem, Sinz 5.5″ rise chromoly BMX bars painted to match frameset, Profile 3 piece cranks 180mm black, polished or black Profile chainwheel, Redline BMX platform pedals, Alloy microadjust seatpost and clamp, WTB seat, Tektro vbrakes front and rear(and Tektro levers,) wheels are hand built with sealed Black Ops hubs, DT spokes, and Sun Rhyno Lite double wall rims, Shimano freewheel, KMC chain, WTB CRUZ 2.0 tires, Ame tri BMX grips. 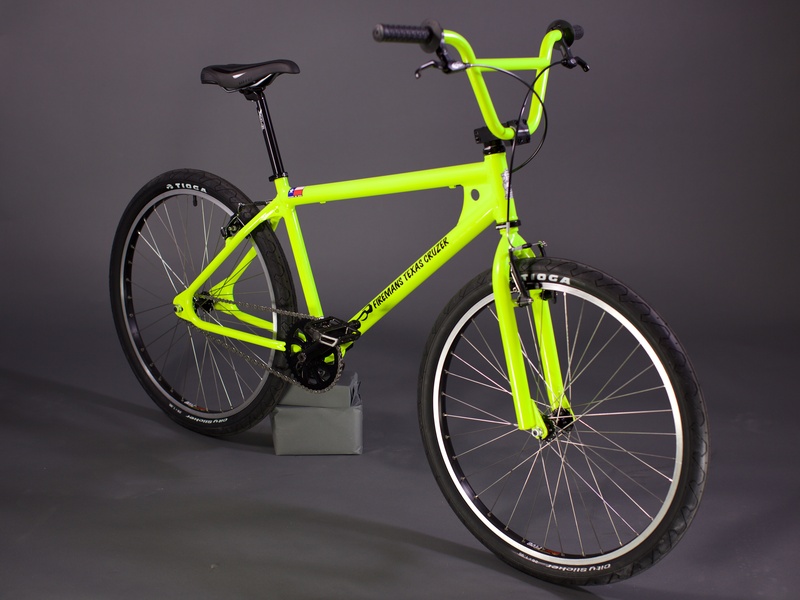 Once an order is placed we can usually get the bike built and shipped out within 2-3 weeks, and can try to expedite that if requested (depending on how full our production schedule is.) We accept Paypal, and ship FEDEX ground insured-it takes less than a week to ship anywhere in the USA. Contact us to place an order. 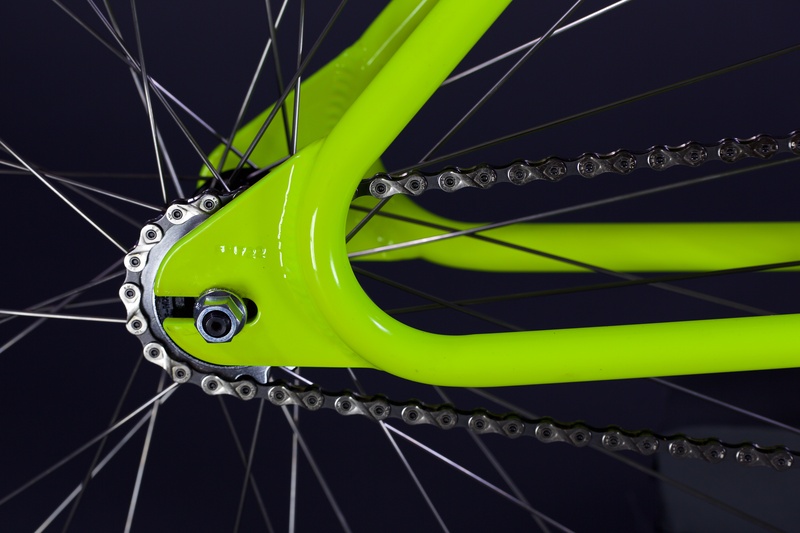 For custom builds, we recommend that the customer purchase a frameset from us and source parts/build yourself or through your favorite local shop so you get it exactly as you want it.